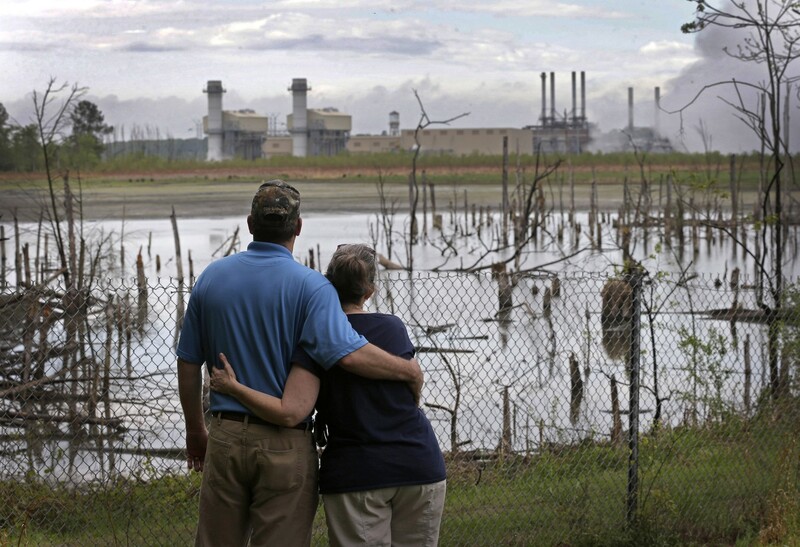 Residents are forced to pay for coal ash with their money and health. In North and South Carolina, the problems of coal ash — the waste product leftover from burning coal — are often shouldered not by the utilities that burn the coal, but by residents that live nearby. In South Carolina, Duke Energy — the largest electric power holding company in the United States — recently filed a case with state regulatory agencies requesting that the first $1.5 million installment of their $500 million coal ash cleanup program be funded by a rate hike for South Carolina residents. According to the Charlotte Business Journal, this is the first time that Duke has asked to make taxpayers fund the cleanup of its 34 coal ash ponds throughout North and South Carolina. After a 2014 coal ash spill, in which more than 80,000 tons of coal ash spilled from a Duke Energy storage site into the nearby Dan River, North Carolina legislators and courts directed Duke to clean up its storage sites. But the company has balked at the responsibility, arguing that it would cost some $3.5 billion to clean up its coal sites in North Carolina alone. Dukes Scott, head of the South Carolina Office of Regulatory Staff, told the Charlotte Business Journal that in South Carolina, Duke has seen very little pushback from lawmakers and the general public with regard to the costs of cleaning up its coal ash sites. In North Carolina, where the effects of the Dan River spill were most acutely felt, Duke has faced considerable opposition from the public and environmental activists. 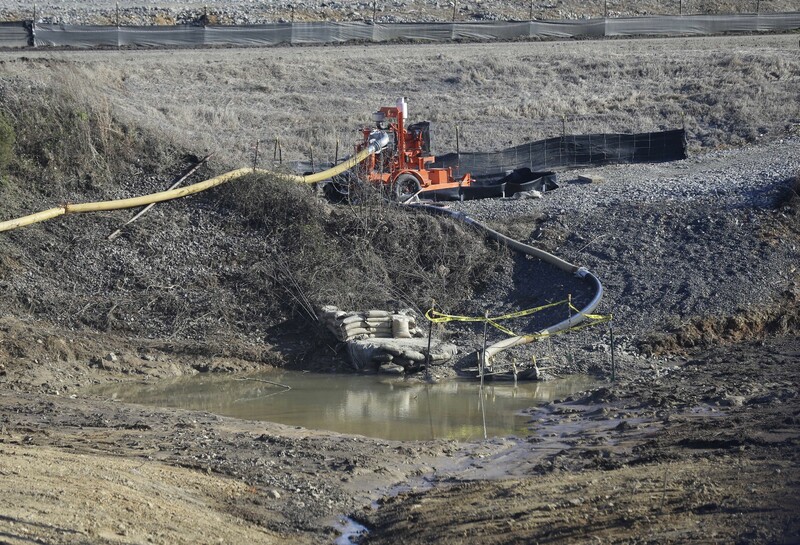 And while much of that stems from the Dan River spill, environmental groups have also rallied around the state’s mishandling of potentially coal ash-contaminated drinking water. On Wednesday, Megan Davies, a state epidemiologist with the North Carolina Department of Health and Human Services, resigned over the controversy, stating that she felt that the Department had deliberately misled the public about the safety of potentially contaminated wells. In 2015, state regulators sent letters to 240 North Carolina households alerting them to the fact that their water might have unsafe levels of elements like hexavalent chromium or vanadium, chemicals that are known to cause cancer. The state later abruptly reversed its position, telling those households that their water was safe to drink even as levels of hexavalent chromium and vanadium remained high. State tests showed levels of hexavalent chromium in wells near Duke coal-powered plants as high as 22 parts per billion — the level used as a threshold for the do-not-drink letters was .07 parts per billion. In a deposition given earlier this year, Davies said that Duke Energy had lobbied state officials to reverse the do-not-drink orders issued to households with wells near their coal-fired power plants. Duke enjoys a close relationship with North Carolina governor Pat McCrory (R) — McCrory worked at Duke for 28 years before entering politics. And that relationship has helped Duke score some breaks with regard to required cleanup of their coal ash sites. A bill recently passed by the North Carolina state legislature makes it even easier for Duke to shirk its responsibility to clean up their coal ash storage sites in North Carolina, allowing the company to simply fortify dams and pipe drinking water to nearby residents, rather than fully clean up seven of its unlined coal ash storage pits.